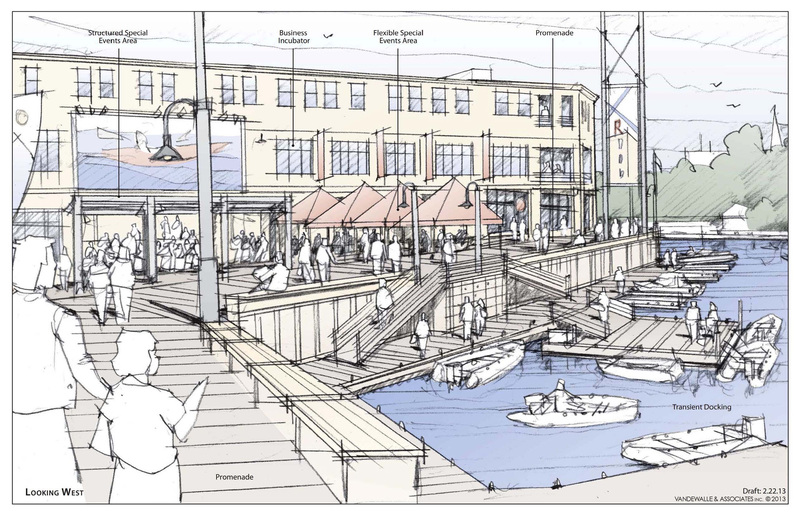 Machinery Row Redevelopment Project | Vandewalle & Associates, Inc.
Machinery Row is an exciting, $65 million mixed use redevelopment of a formerly industrial portion of Racine’s urban riverfront–a 20-acre site that once housed the original manufacturing operations of J. I. Case Main Works, and Golden Books in more recent decades. Machinery Row will re-energize Racine’s historic riverfront, with adaptive building reuse that celebrates the area’s industrial heritage. Mayor John Dickert called this 20-acre project the largest redevelopment project in Racine’s history. Working with the City, Vandewalle & Associates authored the award-winning plan that will involve environmental remediation, renovate and adaptively reuse former industrial buildings, manage stormwater while improving water quality, provide new urban housing options, and add a dynamic riverfront promenade. One- to three-story, loft-style and flexible commercial space for a mix of uses including office, tech space, value-added commercial, and professional services. Over 100 residential units planned, alongside a community recreational facility, day care, grocery, and restaurants. Community recreational facilities will be enhanced by the planned 3+ acre dynamic riverfront promenade for active and passive riverfront enjoyment. Premier indoor and outdoor event space, with indoor and outdoor parking on-site. Competitive triple-net leases available, 5-year lease term. Rate negotiated on a case-by-case basis, including Tenant Improvement allowance. Programmed as LEED Gold Buildings; a wired development with access to clean and reliable power. Application for National Register of Historic Places status.